SAN ANTONIO, Texas—Last week, on a typical 100 degree late summer afternoon, the San Antonio city council sat in session in the city's municipal building, listening to presentations on upgrades for the airport and permitting requirements for nursing homes. But the man who usually moderates these meetings, Mayor Julian Castro, was absent. Castro has been rather busy with something else these days—preparing to be the keynote speaker at the Democratic National Convention on Tuesday evening. With his youth (only 37), his charisma, and his path-breaking minority status (he will be the first Latino to ever deliver the keynote), he is compared to no one so much as the man who delivered the 2004 DNC keynote speech—Barack Obama. And it’s clear that the White House sees in Castro a rising national star. 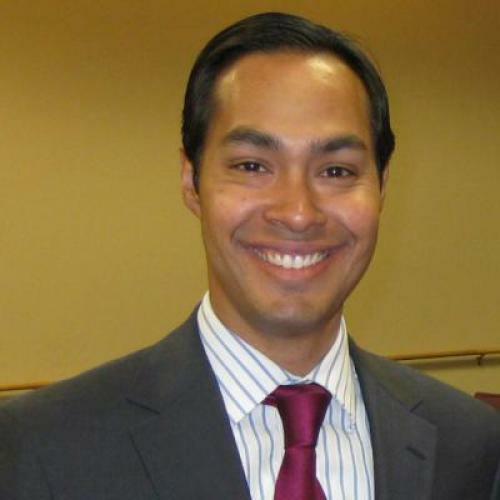 Castro was first called to Washington by the president in 2009 for a forum on economics; he was a guest of the First Lady for the president’s State of the Union address in January; and today he co-chairs the president’s re-election campaign. Speculation abounds that Obama has a cabinet position in reserve for Castro should the president win re-election (one local journalist went so far as to ask White House press secretary Jay Carney about it). Could Castro be the next great force for Democrats in Washington? The one problem is that Castro professes to have no intention of leaving Texas. “I’m not interested in that; it’s not what I want to do. I would rather stay here,” he told me. Castro plans on running for re-election, and if things go well, wants to remain mayor through May 2017. “Afterwards, as my tenure in San Antonio comes to a close, if I were to look at another position, it would be in Texas.” Much as Castro will be on the national stage, he seems to have little interest in achieving further prominence by going to Washington. Instead, he is intent on walking the muddy path for Democrats in Texas. But in committing his future to Texas, will Castro be remembered as a Democratic pioneer or a Democratic martyr? And despite being described as “The Post-Hispanic Hispanic Politician” in a 2010 New York Times Magazine profile, it’s Castro’s identity as a Latino that resonates. “To us, to the Latino community, they [the Castros] are our representatives in this country,” Choco Meza, the former county party chair, told me. But counting Latinos’ total population isn’t the same thing as tallying votes. First is the basic reality of eligibility. Although the Hispanic community is growing rapidly, “Most of that growth is birth rate and those Hispanics aren’t 18 yet,” Dave Rausch of West Texas A & M University wrote me in an email. Today, more than half of the population under 18 in Texas is Hispanic and a third are White. The numbers are reversed for those of voting age. By 2015, 30 percent of Latinos in Texas will still be too young to vote. The DNC speech has clearly given the state’s Democrats a boost in momentum, and the national attention has rallied supporters behind Castro. “I never grew up having a Hispanic leader to look up to,” Marvin Morado, a young man from the heavily Democrat, predominantly Hispanic South Side of San Antonio, told me. “So for me, I’m hoping that as [Castro] becomes more popular, he can fire up other Hispanic, and other minorities as well … as he gets national attention.” Will that momentum still remain behind Castro as he bides his time, following a much more protracted trajectory? Skeptics might dismiss such rhetoric as an attempt to shirk responsibility for the troubled condition of his party elsewhere in the state (in the last gubernatorial election, Democrats carried just 28 of the 254 counties in Texas). But his pragmatic localism may well be a strategy to turn the tide for Democrats throughout Texas. In city government, you deal with the daily “front door issues” people are facing, Diego Bernal, the city councilman from District 1 told me. “It isn’t glamorous stuff,” but it’s Castro’s talent at engaging on this level that people appreciate about his politics. “My brother enjoys these bigger issues, these overall issues on education, on health care, on transportation,” Castro says of his twin brother, Joaquin, who is running for Congress. Castro’s focus is on “making the right investments” in the community: That’s the kind of thing people care about locally. If they do turn out to be right, that record could eventually help Castro turn the tide for Democrats throughout Texas. For now, Texas Democrats will have to content themselves with Castro leveraging his talents on behalf of the presidential campaign. Almost everyone I spoke to is confident that his performance on Tuesday will get out the Latino vote for Obama. “Do Latinos vote? Yes. Do they vote enough? No, not nearly. Is there someone who could get them to? You’re about to meet him on Tuesday,” Councilman Bernal told me. Castro doesn’t admit it, but he is hoping that, when he decides the time is right and the “change” has come to Texas, they will still be coming out for him. Boer Deng is a former TNR literary intern.